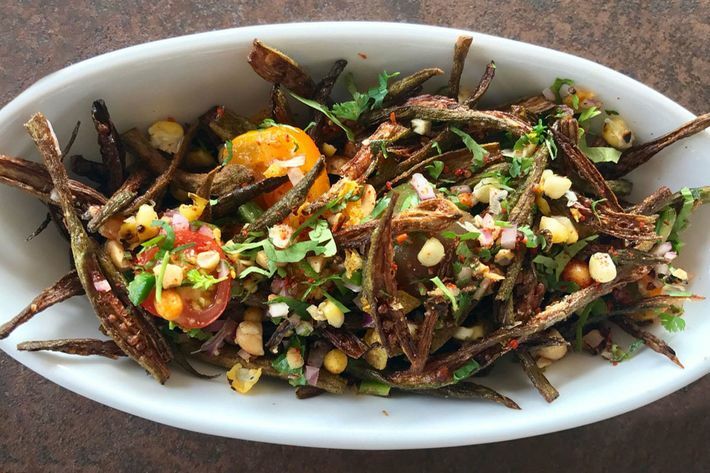 From an historic and geographic standpoint, the pairing of these cuisines makes a lot of sense: Warm climates make it easy to grow crops like okra, chiles, and rice. 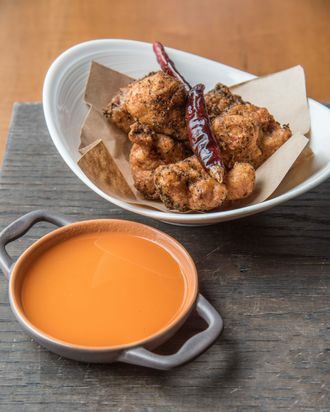 And in the late 18th century, at least according to lore, former British colonists from the British East India Company settled in the American South, in turn leading to the invention of dishes like Country Captain chicken, a stew built around the complex flavors of the spice blend garam masala. 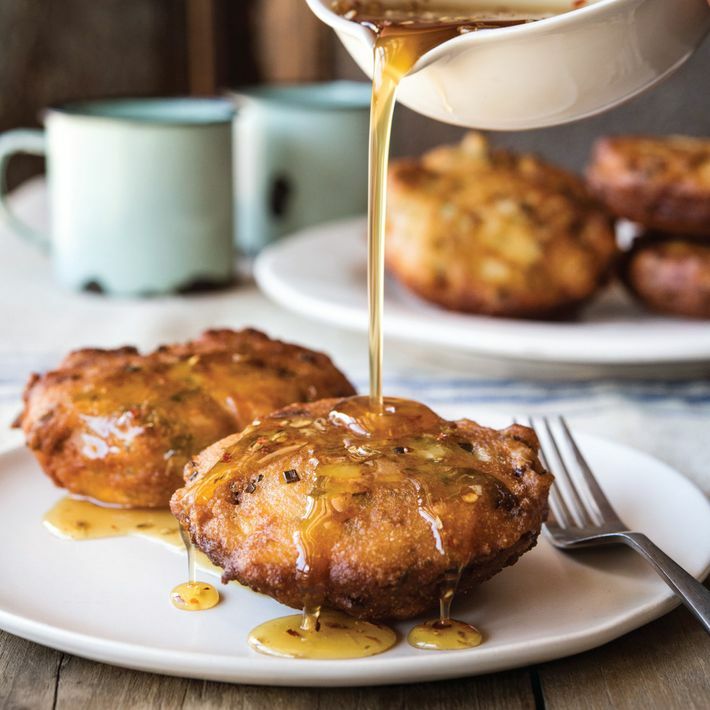 In other parts of the American South, chefs have made discoveries similar to Bhatt’s, combining the culinary traditions of their Indian heritage with the regional particulars of the southern setting, producing food that is both astonishingly original and deeply appealing. 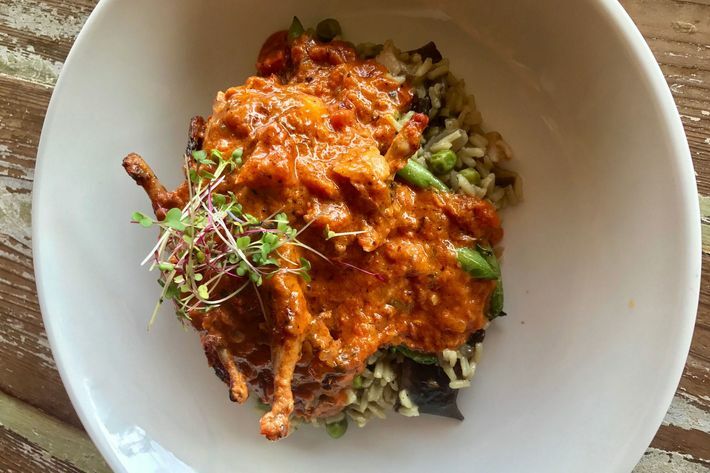 Quail tikka masala at Snackbar in Oxford, Mississippi. 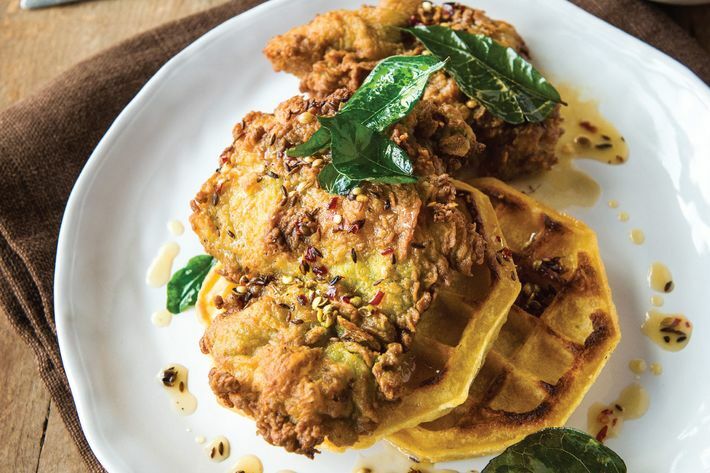 This kind of fusion — which is built on the idea of harmony between the cooking styles, instead of mashing-up disparate elements — is on display at an impressive number of restaurants: Pondicheri in Houston serves fried chicken that’s marinated in yogurt masala; Chai Pani, which has locations in Asheville and Atlanta, makes chili cheese fries with paneer, cilantro, and tomato chutney; Nasha, in Austin, offers a tikka con queso. Also in Austin, where barbecue is a religion unto itself, Deepa Shridhar runs a pop-up dinner series called Anjore. And she’s working on her own version of Texas barbecue, a low-smoked brisket rubbed with fermented chiles, sugar, and chai. “Usually when you think Indian and barbecue, you immediately go to tandoori, but I wanted to go a bit deeper than that,” she says. “Both India and Texas have a lot of smoky, deep, dark flavor profiles in their cuisines, so barbecue works as a connective tissue.